The Bond 759 HEVC Backpack from Teradek includes the Bond 757 Expansion Module with Cube 755 Encoder, a Node Cellular 4G LTE USB Modem (Asia/South America), and an AB-mount battery plate. The Bond 759 HEVC Backpack from Teradek includes the Bond 757 Expansion Module with Cube 755 Encoder, a Node Cellular 4G LTE USB Modem (Europe/Asia), and an AB-mount battery plate. The Bond 759 HEVC Backpack from Teradek includes the Bond 757 Expansion Module with Cube 755 Encoder, a Node Cellular 4G LTE USB Modem (Japan), and an AB-mount battery plate. The Bond 759 HEVC Backpack from Teradek includes the Bond 757 Expansion Module with Cube 755 Encoder, a Node Cellular 4G LTE USB Modem (US), and an AB-mount battery plate. 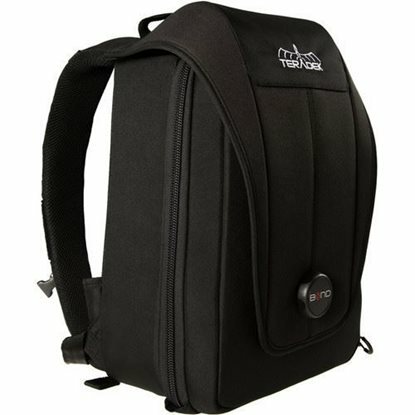 The Bond 759 HEVC Backpack from Teradek includes the Bond 757 Expansion Module with Cube 755 Encoder, a Node Cellular 4G LTE USB Modem (Asia/South America), and a V-mount battery plate.